Last Friday our local newspaper featured a story about the giant sunspot, one of the largest in recorded Sun watching, that had rotated back into view after being out of sight on the far side of the Sun for a couple of weeks. The Sun rotates on its axis like the Earth but because it is a ball of plasma different parts rotate at different speeds. 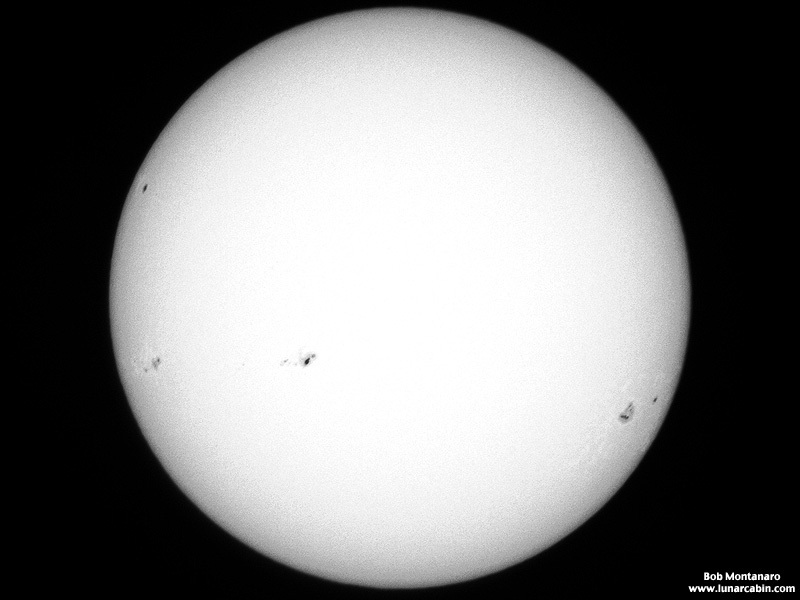 The average rotation is about 25 days so with most sunspots lasting from hours to only a few days, this long lasting one seemed a bit special so I planned on trying to get a photo of it. As luck would have it Friday was cloudy, which dragged on through the weekend, finally giving way to partly cloudy skies on Monday allowing me to finally try and get a photo through the swiftly moving gaps in the clouds. Needless to say, it was more cloudy than clear so it got to be a bit exasperating waiting on trying to get a shot. Then, much to my disappointment, when I finally saw the sunspot it was not much to look at since it had dissipated considerably over the weekend. But here are two of the photos I took this afternoon between 1:00pm and 2:00pm, one a bit of a close-up, the other a full disk image of the Sun. 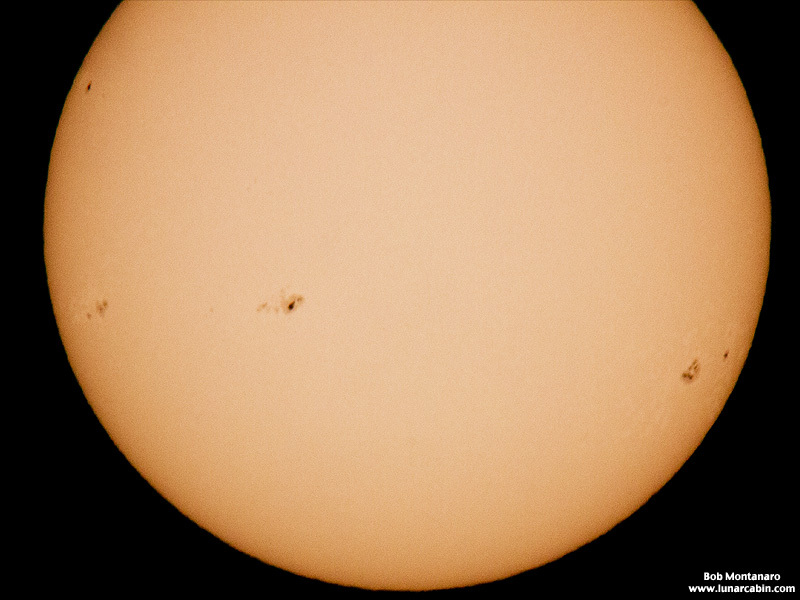 Interestingly, there appears to be a lot of sunspot activity on the Sun currently. As an aside, the images were taken from the parking lot of the Audubon House, where construction is nearing completion for Pelican Island Audubon Society’s new nature center at the Oslo Riverfront Conservation Area on Oslo Road in Indian River County, Florida.